Take a newborn photo of how your child looks two weeks after birth, so small and fragile. We will take loving photos that soothe mothers, who have just gone through the life-altering process of giving birth and begun the turbulent day-to-day of childcare. 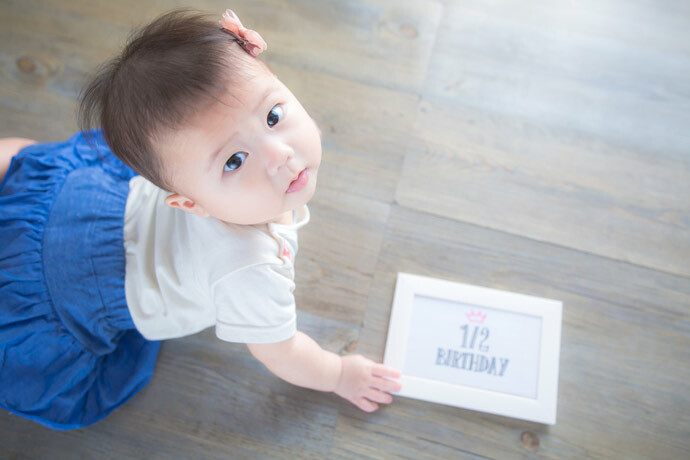 Other options include taking photos of trips to the shrine to pray for your child’s healthy growth, the expressive hundred-days celebration, and the half birthday, when your child laughs, cries, becomes interested in the world, and begins to express emotions. We cherish these days and the emotional expressions that can only happen then. We can create life-sized prints of children who are over 80 cm tall. These prints are growing very popular.